Philippine Business Bank (PBB) is looking to increase its 122 branches with additional 12 licenses before the year ends, according to Rolando Avante, president and CEO of PBB during a media briefing recently. 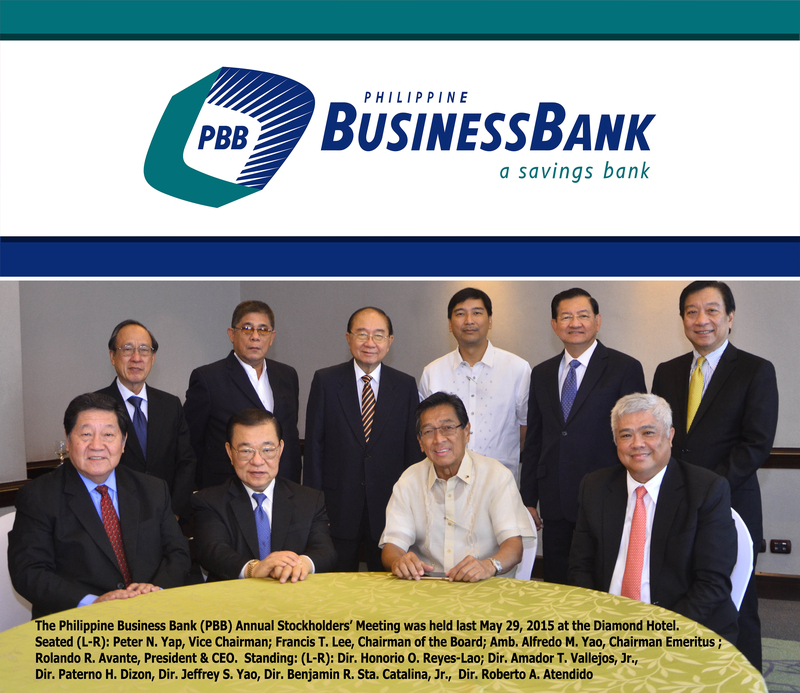 PBB�s first quarter net income increased by 25 percent or P140.9 million compared to the same period last year. The bank opened six branches during the first half of the year. Avante says that PBB will be opening four more in the next few weeks and they are still waiting for the approval of 12 licenses from the Bangko Sentral ng Pilipinas. He also says they intend to apply for 17 more licenses. Avante says the bank is availing itself and maximizing the use of BSP’s Strengthening Program for Rural Banks (SPRB) where able banks could assist or acquire ailing rural banks. This is how PBB was able to acquire Rural Bank of Kawit (Cavite) last year. PBB is known to focus on lending to small and medium enterprises (SMEs) and maintaining a presence in rural areas allows them to serve the underserved market. The bank is looking beyond deposits and lending, as it wants to become a distribution center or outlet for other financial services. The bank’s lending reached P15 billion by the end of March; in 2011 its lending was only P2.5 billion. PBB’s total deposits in the first quarter were up by one percent to P47.1 billion from P46.6 billion, according to earlier reports.